Individuals or legal entities who donate to Salsabil are entitled to receive privileges for their annual income taxes. The French legal system allows such advantages for those who provide charitable assistance. The rules are established, mainly, in articles 200 and 238 bis of the French tax code. 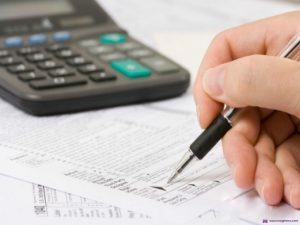 The amounts of donations are indicated in the tax return and are automatically subtracted from the amount of the taxes. Upon your request, Salsabil will provide you with the necessary documentation confirming your donations. These documents must be attached to the tax return. In the case of an online report, the taxpayer is required to preserve the supporting documents submitted by Salsabil. Article 200, grants the right to reduce the income tax, the equivalent of 66% of the donations, within 20% of your taxable income. For example: If you donate 100 € to the Salsabil Association, when you pay your annual taxes, you will receive a discount of 66 euros on the taxable income. Which means that those 66 euros out of the 100 that you donated to charity, the state will deduct them from your taxable income. Note: The state does not withhold anything from your donation and the money is fully transferred to Salsabil and is spent for its intended purpose. Article 238 bis, grants the right to reduce the tax at a rate of 60% of the amount of the donation within 0.5% of the turnover, excluding tax for the year in which the donation was made. To learn more about tax breaks in France, click here.